In the summer of 2011, young academic Nosheen Ali, and journalists Sahar Habib Ghazi and Malik Siraj Akbar approached me to work on a new initiative they called “Unsilencing Pakistan” that aimed to make an online record of all the journalists, activists, and thinkers in Pakistan who have been harassed, tortured, and/or executed. I had written at the time about those killed as ‘enlightenment martyrs’, part of an ongoing intellecticide. The “Unsilencing Pakistan” idea included a statement that we got several progressive voices to endorse — Sabeen Mahmud among them (see below). We weren’t able to take the idea forward then but the concept remains critically important as Sabeen’s murder a week ago reminds us. I was also reminded by my friend Huma’s Facebook post today about the vigil for Sabeen uses the term #unsilencePakistan; and by the seminar titled Unsilencing Balochistan that was canceled at LUMS but held at T2F after which Sabeen was killed. Back in June 2011, we agreed that documentation is important to memorialise the brave voices of Pakistan, and make clear the enormous nature of the crimes. “The aim is to build public awareness, attention, and pressure. The documentation will happen through open collaboration with volunteers in news rooms who have been tracking the data. The final database will be visible to anyone on the web, with mappings of the total number of cases, where the most intimidation has taken place, details about the most common forms of torture etc. This documentation will also be instrumental for any legal proceedings that may be brought against the culprits.” What has changed? We, the undersigned, condemn the continuing harassment, torture, and killing of progressive thinkers, journalists, and activists in Pakistan. Although few inquiries have been conducted so far, most fingers point to the security establishment because of its track record of intimidation that is familiar to anyone involved with the press in Pakistan. The most recent cases include the assassinations of the respected journalist Saleem Shehzad and the prominent Baloch scholar and poet Saba Dashtiyari. Most major Pakistani newspapers have written editorials and published opinion pieces that attest to the new depths that the nexus of the ‘agencies’ and militants have reached in the country, and to their continued immunity from serious investigation or accountability. The situation in Balochistan is particularly disturbing in this regard. Hundreds of students, lawyers, journalists, and activists have been abducted and tortured in the region since 2005, in response to Balochistan’s legitimate demands for its rights. According to the organization Voice for Missing Baloch Persons, around 149 of those missing have been brutally murdered and disposed off, in what Amnesty International has termed “kill and dump” operations. These operations are then being used to justify the deplorable revenge-killings of non-Baloch, worsening the situation even more. There have been attempts to question the policies that have led to this situation, but to no avail. We urge the elected civilian government as well as the judiciary, the military, the opposition, the media, the bureaucracy and the citizens of Pakistan to work together and ensure accountability, justice, and due process of law. Sheikh Asad Rahman, Sungi Development Foundation, freelance journalist. 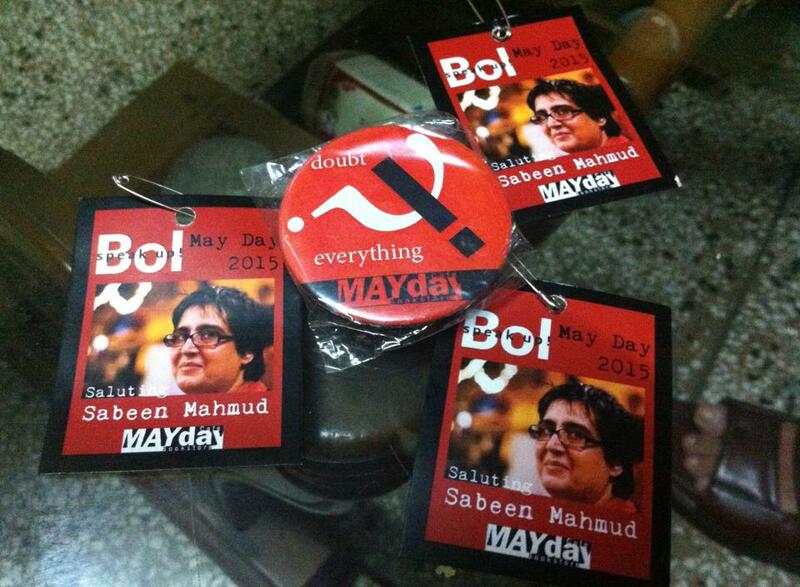 RED SALUTE TO COMRADE SABEEN MEHMUD, STOOD FOR TRUTH AND HUMANITY,BALOCHISTAN WILL ALWAYS REMEMBER YOU!!! 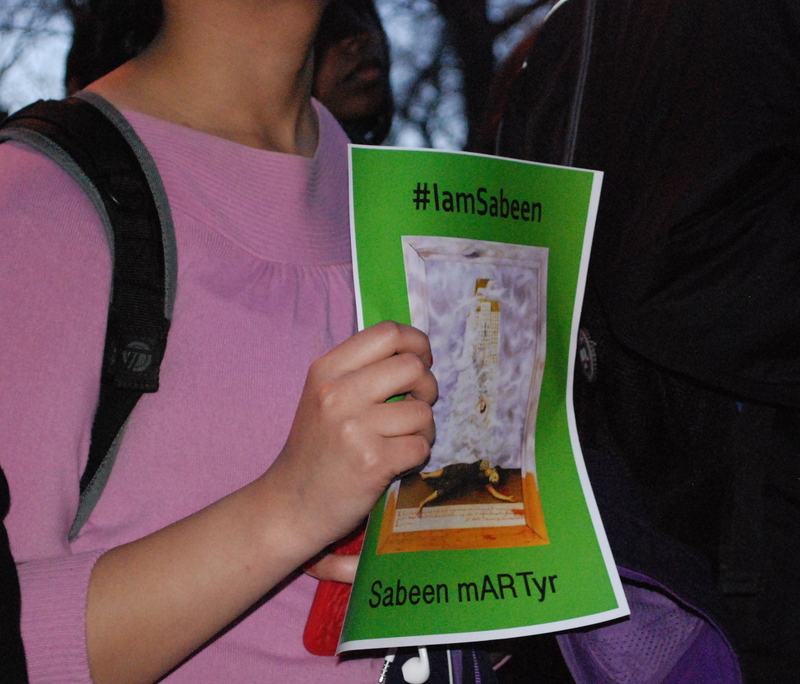 Red Salute To Comrade Sabeen Mehmud, Stood For Truth and Humanity , Balochistan Always Remember You!!! Let the voices reach every corner of the world and let us make every ear ready to hear it !! Kudos for your bravery!! What the forces who are trying to unsilence Pakistan? What about Indian agencies/military human rights violations in Kashmir. Should Pakistan also endeavour to unsilence the Kashmir issue and voice of Kashmiri people. My BlogSocialDynamos, does not endorse this post, especially UW-Milwaukee, mid east historian ,Abbas Hamdani’s endorsement! This is part of the Progressive liberal, western oriented, tolerant styled, politics of the state’s framework as the ultimate set up for free speech! In other words, the Professor Abbas Hamdani, added his name to this critique of intellecticide! But Dr. Hamdani does not ever connect the dots of his rosy scenarios of his ideal Arabist empire, with that reason for Arabist empire existence! Dr, Hamdani just skips over the questions of the legitimacy of the Arabist empire colonial projecting of power, over African & S. W. Asiatic, mid east nations! Dr.Abbas Hamdani’s claims that the Palestine Liberation Organization, the PLO, is the sole legit. representative for the PalestineArab people! But the PLO defines the PalestineArab people, as integral constituent parts, inside the central root & base of the Arab nation! So at some point ,never quite explained by Dr. Hamdani,the PLO embodied the reason for existence of Arabist empire colonialism! Arabist empire colonial occupation over Kurdistan, Darfur, AramaicAssyria, SyriacAramaean Lebanon, EgyptiCoptic & Nubia, are not ever explained, by Dr. Hamdani! So his endorsing of this critique of intellecticide, would require a closer examining of Dr. Hamdani’s own actions!